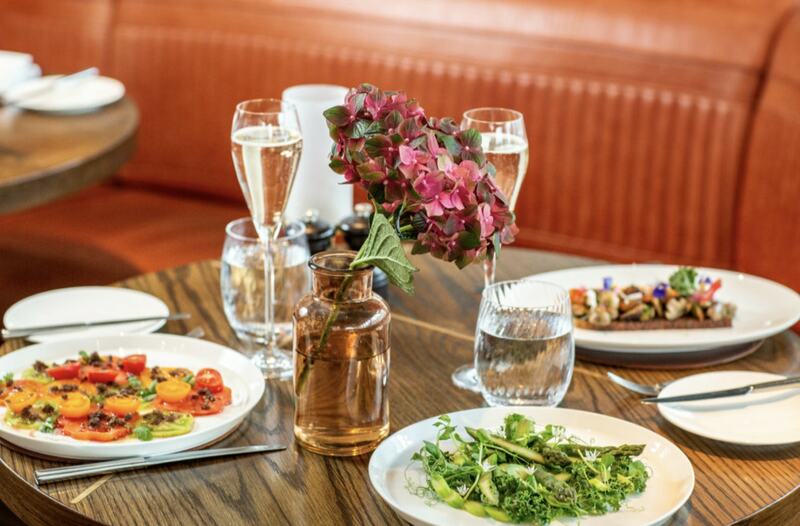 A central London restaurant will launch its 'Absolutely Vegan Brunch' menu this weekend, ahead of Meat Free Week. Aster is a Nordic-French inspired restaurant in Victoria's food hub Nova Food. Its new dishes will be released in collaboration with Ketel One and vegan Nordic skincare brand Lumene. The menu, which is available from June 10, features a two or three-course brunch with vegan Bloody Mary’s, with a DIY station, and free vegan skincare products to take home. The menu has been created by Chef Patron Helena Puolakka, originally from the south-west coast of Finland. According to a spokesperson, the dishes have been 'inspired with Finnish nature at their heart'. They added: "The menu offers dishes such as heritage tomatoes with baby basil and sherry dressing; teff (gluten-free flour) pancakes topped with an invigorating golden drizzle; perfectly smoked courgettes with super seeds and restoring mushrooms on toast with herb salad. "For those who have a sweet tooth, Helena Puolakka has created desserts which reflect the purity and youthful glow of Scandinavia including fresh pineapple with chilli and vanilla, alongside rejuvenating mango with rich coconut cream."